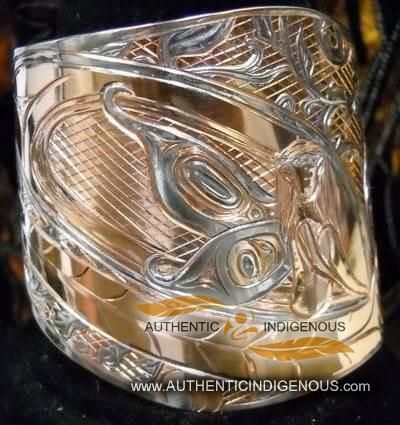 As a Haida Jewelery Artist, I carve the stories of my ancestors in copper, silver and gold pieces. I am a member of the Haida Nations and my clan is Tsit Gitanee. 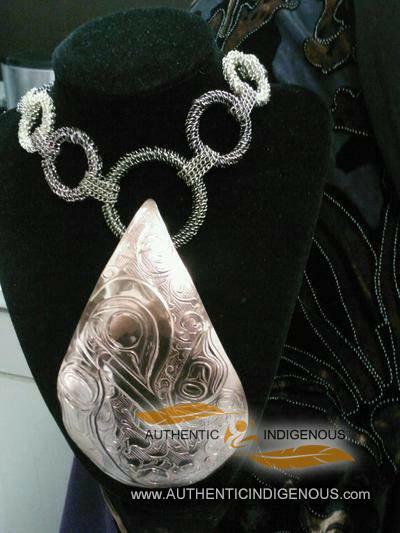 As a women in a traditionally male dominated field, I design from a women’s perspective and create feminine and contemporary pieces while maintaining the integrity and tradition of form-line design which the Haida are world renowned for. My jewelery has been showcased at the Bill Reid Gallery, and I have donated artwork to benefit the Strathcona Community Center’s Preschool Program. 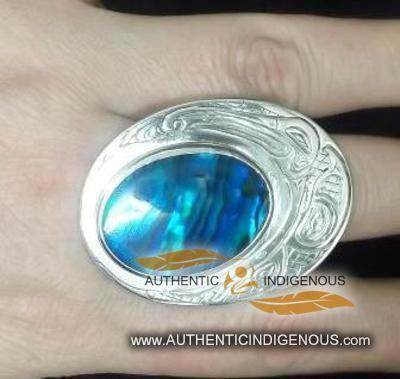 I graduated from the Northwest Coast Jewelery Arts program in April 2011. Although I also paint, make drums and do prints, I truly love to incorporate modern jewelery designs with traditional work as well as combining Celtic and scroll work to soften the lines.